I decided to create another card from this set but this time I used the new tri-fold insert that comes with the stamp set. 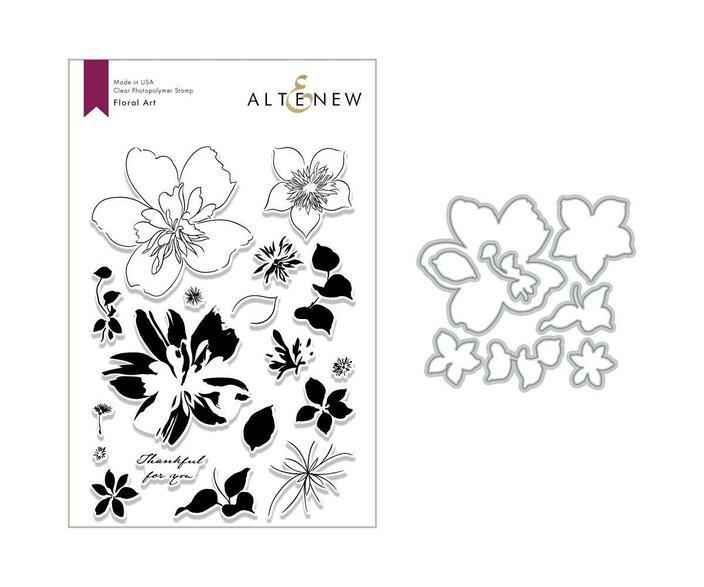 This is the Floral Art stamp set and I selected the sentiment from Floral Garden. 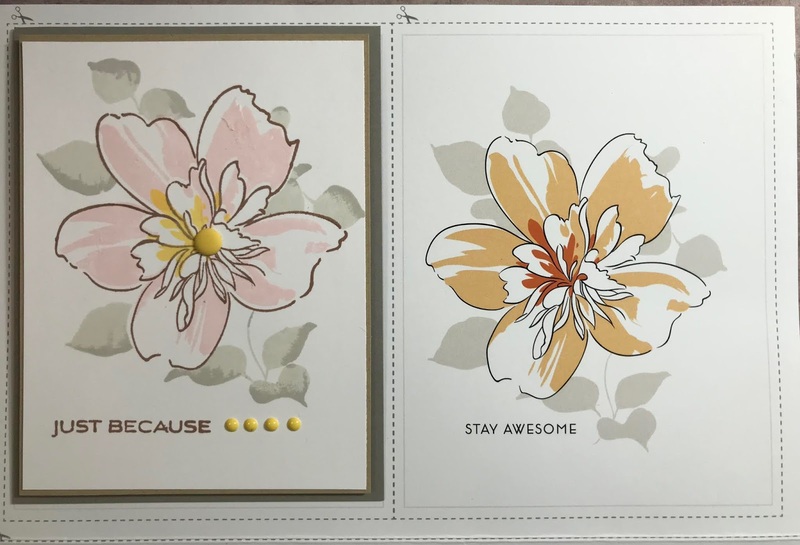 My card is on the left side and the template is on the right side. I changed up the colors, but wow was this easy. 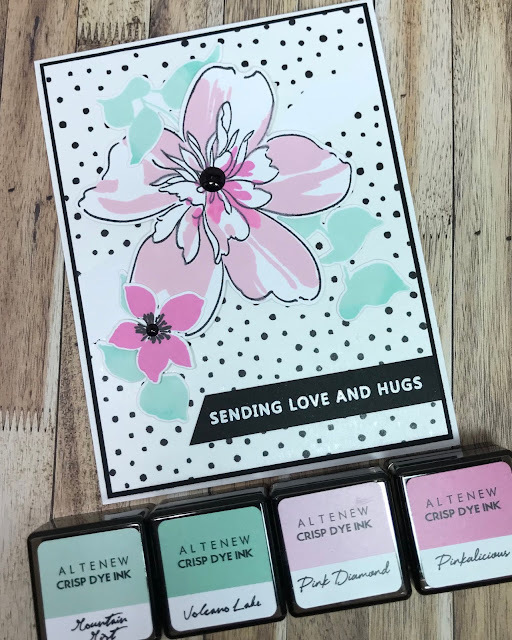 Your cards and the colors you chose are beautiful. Thanks for sharing more examples today. I think it's just amazing that a simple card can be so stunning! 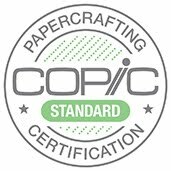 I know it has something to do with the designer and the crafter! Thanks for the beautiful inspiration! 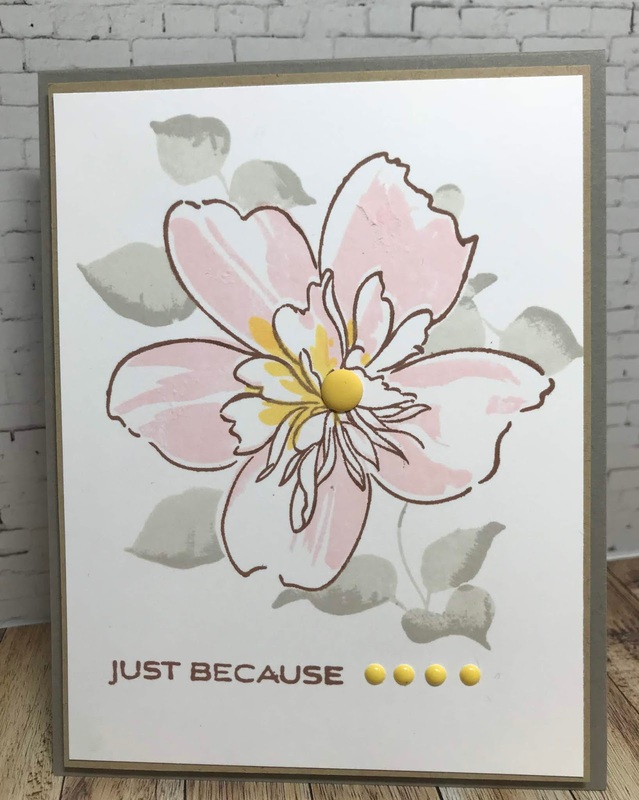 I am beginning to love "Floral Art stamp and die set" . 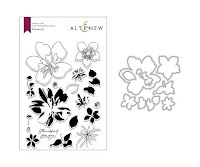 It looks like the flowers will be fun to watercolor, and really I am confident they will take any media tossed at it! 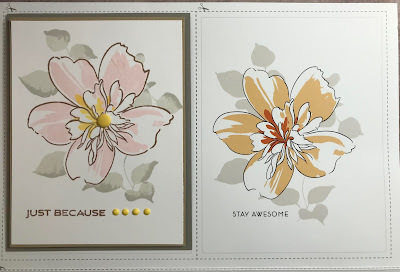 Love your cards using the new floral stamp set...great colors and creativity!